Looking for a reason to give the AMCAT test? This is what happened with Prabhat Kumar Singh, a 2016 graduate when he gave the AMCAT test. The AMCAT test journey for Prabhat Kumar. We are often asked how the AMCAT Test is important for students from different streams. For those looking for IT jobs, 2016 graduates, experienced candidates or even those who are giving their final exams, ready to turn into graduates. One such query has been whether the test helps those beyond engineering. Here is an example where it did, though the job role in question is still for a programmer. This is what happened with Prabhat Kumar Singh, a 2016 graduate when he gave the AMCAT test. 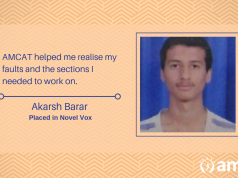 After completing his post-graduation in Computer Applications from JSS Academy of Technical Education in Noida, Prabhat was looking for a job. A good one, with a decent pay package. And he had problems in landing one. And then, he took the AMCAT test. 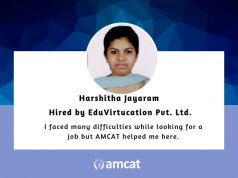 “I took the AMCAT test because it is a platform where we can grab the right opportunity.” Calling it a good experience, he went through it with decent preparation and sat down to wait for the interview calls to come. He had to wait for a month. After a smooth interview process with Kleeto, a data management solutions startup, he sailed through to the main offer and was hired for the job. 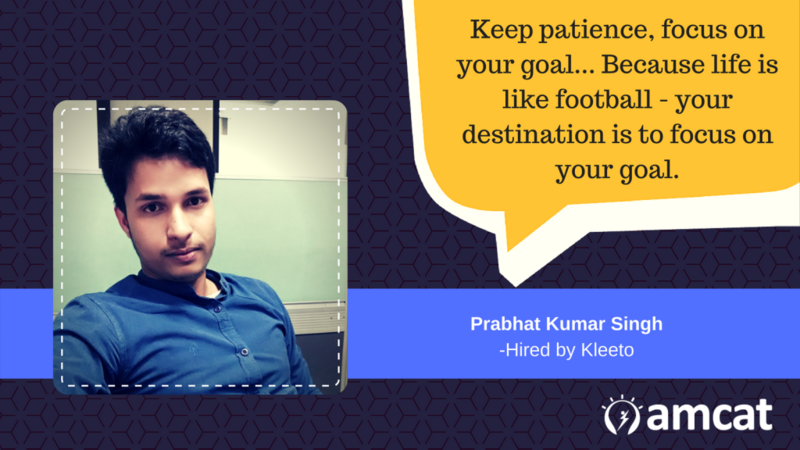 Having been through a strenuous session looking for jobs, to finding one opportunity, Prabhat has had a chance to go through the entire job search cycle. We asked him if he had any observations about the entire experience. He had. 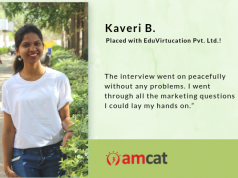 Did you like this one of our AMCAT success stories? You can read up on more of these stories in our testimonials section. And if you are considering giving the test yourself, you can schedule one for yourself now. Next articleWhat is a 'good score' in the AMCAT Test?